If I have ever said that backpacks are not ‘in’ (trend), then I need to say this: ‘I take my words back’. It’s here, and there, and even Chanel is joining the party. We are surrounded by backpacks and an increasing number of fashionista’s (also fashion bloggers) were seen, flaunting with their designer backpack like there is no tomorrow. But to look awesome, you need to pick your style right. A-too-ordinary backpack won’t create the impact you want, you need something bigger and practical, like the Proenza Schouler PS1 Backpack. Do I need to introduce the PS1 Collection? Nahh, I mean it’s the iconic of Proenza Schouler and even celebrities are loving it. This brand is excellent in crafting buckles, just like Mulberry (the Alexa Satchel Bag). What I love the most is the spacious, this backpack has all the room you need – ideal for travelling, hiking or holiday, city tour, you name it. It can store your laptop, clothes and all your essentials. For those who are interested, measuring 11.5’ x 7’ x 15’ (L x W x H), only in black. 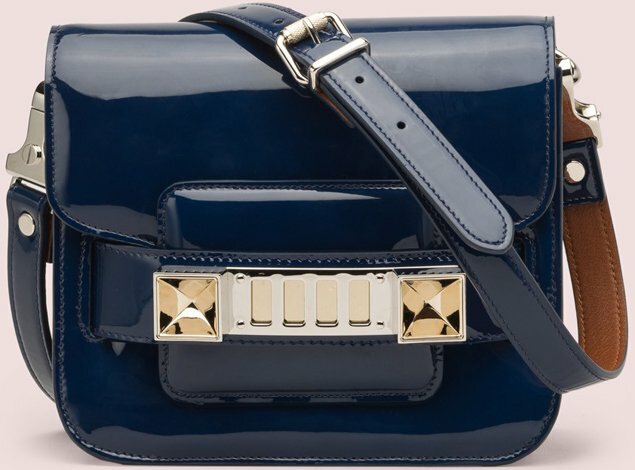 After the Courier handbags come the Lunch Bags, after the Lunch Bags come the brand new Proenza Schouler Elliot Bags. Now, do you love? To summarize the story of the PS Courier handbags, it’s the first time, for us, to taste Proenza Schouler in the form of minimalism (I mean design, you know;)). The Courier was purposely made… ‘super soft’. And now back to the Elliot. 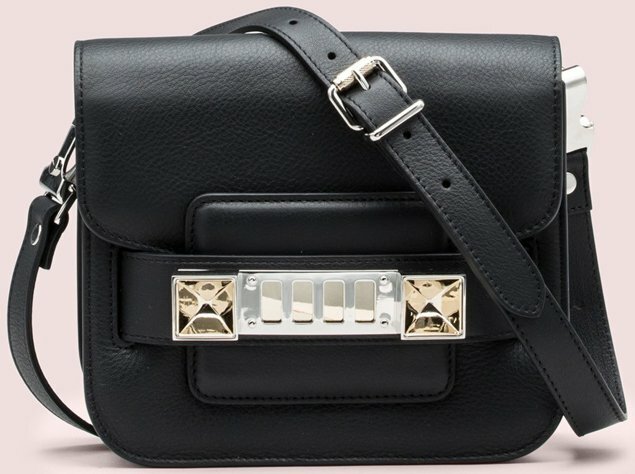 The Proenza Schouler Elliot Shoulder Bag is the upgrade version of the Courier – it’s mixed between Proenza Schouler (what we had been used to) and minimalism. Proenza Schouler because of the classic turnlock closure and minimalism because its simple, just like its sister, the Courier. Made with different leathers like suede and Crocodile leather, it comes with an adjustable shoulder strap and the exterior is embellished with a pocket on the back. The interior comes with two pockets. What also captured my attention, is the brand-new Elliot Satchel Bag. Made with smooth leather and with two top handles. It comes with an additional shoulder strap, the interior comes with a pouch pocket and one zip pocket.